Web development is a broad term for any activity for developing a web site for the World Wide Web or an internet. This can include eCommerce website development, web design, web content development, client/server-side scripting, and web server configuration. Web development can range from developing the simplest static single page of plain text to the most complex web-based internet applications, electronic businesses, or social network services. Quad SoftTech is a leading website Design & web development based company offering high quality and cost effective solutions to companies around the globe. Quad SoftTech assists in providing solution for web Application Development for its clients in a customized manner. We also provide complete Content Management Systems (CMS) for our clients, apart from creating e-Business applications. This proves to be very useful for our clients as they are left at ease with their content management issues. Quad SoftTech offers customized and rich internet applications for simple and complex processes using a variety of high end tools providing our clients with excellent user interfaces to meet our clients’ unique needs and to help our clients’ business exceed in its technological expectations. All our applications are cross platform compatible because they operate within a web browser window. 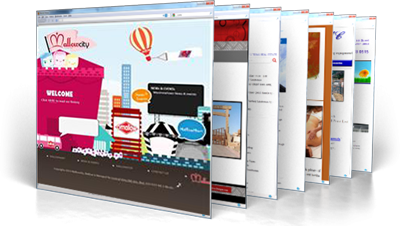 We have a professional team who are specialized in web application development. Pulling full potential of up-to-date technology platforms, we deliver systems with the optimal cost and performance ratio. To find out how Quad SoftTech can help you with your development needs, please contact us for a comprehensive and free project analysis or you can fill out our online RFQ form and a member from our team will contact you to discuss your website development needs.